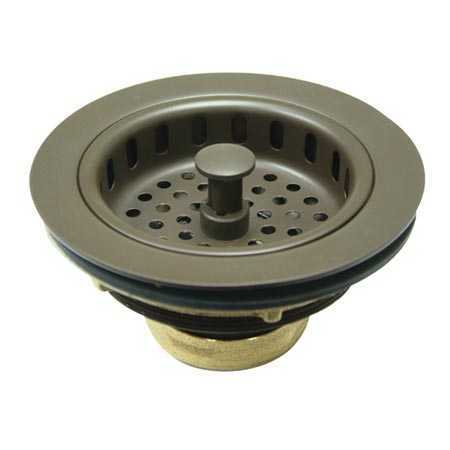 To prevent food particles and debris from entering the water line, this Kingston Brass heavy duty basket strainer features a convenient lift-and-turn basket that is designed to protect and to allow water to descend freely. 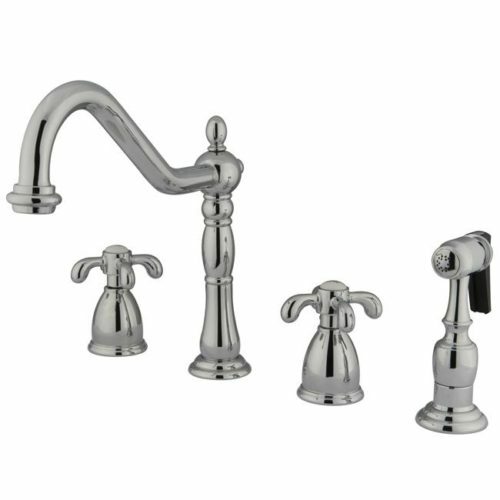 It’s high quality, solid brass construction is long-lasting and resistant from corrosion and tarnishing. 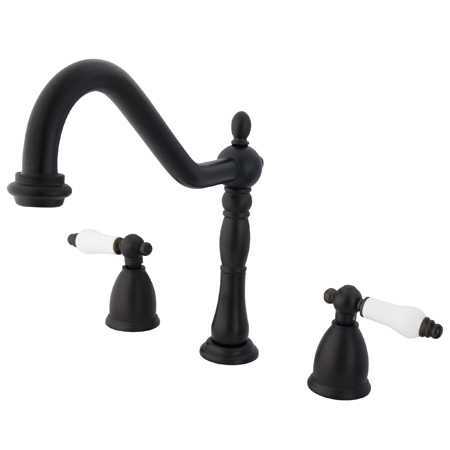 Easy to install and comes with a one Year limited warranty. 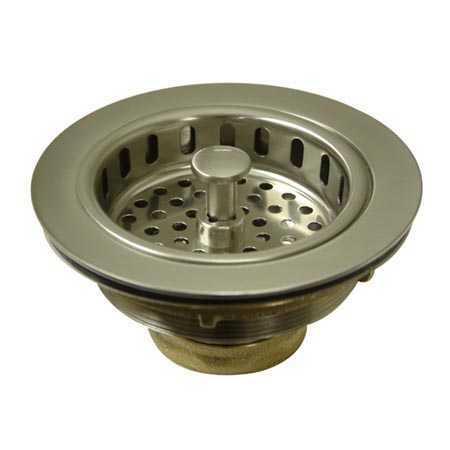 Good quality strainer. 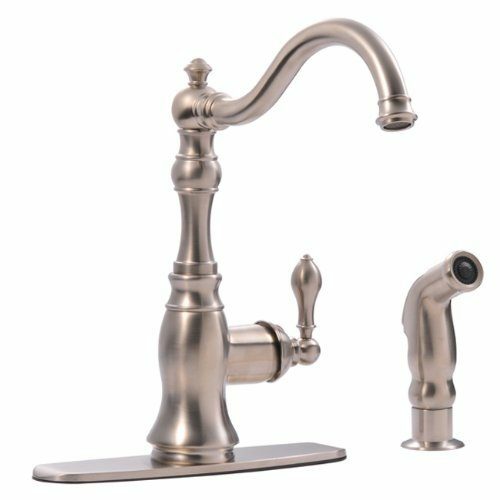 Liked that it came in a satin finish and matched the faucet that I choose. Worth the price.